Marvellous slate cladding, my living room wall was transformed, but above all the level of service received was impressive. Olá Brazilistone - As promised I wanted to leave my review of your product here. After it was all laid out both my wife and I are pleased, the patio looks really great and because the slabs were laid out with a tight grout line it has a very contemporary look about it. So many thanks for the good product and great customer service. Beautiful tiles and brilliant customer service, could not fault Brazilistone at all. Very nice tiles - excellent service - very nice people! A quick note to thank you Brazilistone for the amazing slabs and great advise and service. A big thank you to your staff for helping with our decision. We were not sure if we wanted to use slate in our patio, but after your knowledgeable explanation about the features of your Brazilian slate we were sold immediately. And we are very happy to have done so - the patio looks brill! As promised, I am pleased to recommend your company. We had a good experience with your help and with your products. 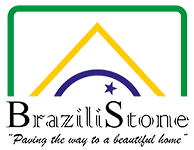 Thank you Brazilistone for your invaluable advise on our kitchen project. Really appreciated. Will call again in the future. I normally do not write reviews, in fact I loathe them, but I am making an exception on this company's case. Not only I asked a lot of questions which were all replied with the utmost professionalism but the whole process was completely hassle free and to my surprise even pleasant(!) The delivery was according to the information given and the courier called me 1 hour before delivery and the tiles themselves were really good, hence my five star review. I have used Brazilstone for two projects. The advice and customer service has always been excellent. I can heartily recommend for quality and price. Thank you for your patience during our extended e-mail exchange. The slabs arrived in what my husband called "top class packaging" and now that the builders finished the job, they look amazing, I will send pictures as promised. Thanks again, I will surely recommend your company to all my friends and family. Great tiles and sound advice from your company. Very good price and prompt delivery. Will buy again - recommend without reservations. Product, price really amazing, however delivery company messed up a little and Brazilistone put it right at their own expense. Customer service unparalleled! Thank you for a gorgeous slab of Brazilian slate. I was very impressed with your customer service - received the free of charge bottles of sealant with detailed instructions and the packaging was incredible - never had any delivery so well packed. Realized that you packed the slab onto 2 pallets to avoid damages - this is really going the extra mile! It is a quite heavy slab, but it is now in its place and as soon as I have a minute I will send you some pics as promised. Thanks again for a very pleasant buying experience. Our patio looks great with your slabs - thank you for the advise and first class service. Will recommend your company to our friends! Thank you for your excellent product and customer service. I read on your customer reviews about your packaging and was able to see it first hand - outstanding! Thank you Gill for your great advise. The slabs arrived, excellent packs and not a single one damaged. Considering that in total our order was close to 200m2, especially comparing to the load of bricks that we received - half damaged - receiving your slabs was a breath of fresh air! We finished laying them last week and I am extremely pleased with the way they look. As promised, I will recommend your company to all my friends. Thank you for a very professional service and beautiful product. Thank you all at Brazilistone - our kitchen/diner and conservatory look just out of this world with your tiles. Mostly, I would like to thank for your unabridged knowledge and patience when helping me decide on colour, size and pattern. I rarely feel compelled to review anything but I had such excellent service from brazilistone and Gill in particular that I felt I should say something! Needless to say the actual product is fantastic quality. The slabs were very well packaged and delivered wih a smile. The 600 x 900 slabs are beautiful and we have had many admiring comments, even before they were laid. But it was the endless patience from Gill that won me over. Delivery logistical problems were investigated and solutions quickly provided. Then not only did I change my mind about the size of the slabs after ordering, I then had to rearrange delivery date several times, one whilst the slabs were in transit! Each time Gill dealt with this ( and me!) with patience and humour. Many thanks and I would highly recommened! Thank you for your suggestions for our patio. They worked really well, particularly with the coping slabs supplied. Will buy again when we do the driveway. Thankyou for the friendly advise and great tiles - our kitchen looks very smart now. This is a short message thanking you all at Brazilistone, from the warm welcome and nice coffee served during our visit to the perfectly packaged slabs received for our patio and driveway project. Thank you for my Black slate hearth. It looks beautiful, thanks to the stone oil and sealer provided generously free of charge to dress the face and edges. I will recommend your company and services to all my friends! I would like to thank Gill for the amount of time and the level of customization achieved on my project. Our slabs and tiles took a while to come all the way from Brazil but it was certainly worth the wait. We are absolutely delighted with the end result and could not praise enough all the assistance given to achieve our beautiful project - we will send you pictures shortly. I have read a few of your reviews and before I actually talked to your company and bought your products, I thought people were just being too kind. I normally do not write reviews - I just don't have the time (or the inclination) but in your case I have opened a massive exception. The patience and genuine interest shown on my project was definitely second to none - I know because I called a number of companies before talking to Brazilistone. A big genuine thank you - will call in the future when using slate again. My bathroom looks great and all thanks to your nice tiles! I would like to personally thank your staff for their help and patience specially after I changed my mind a few times. Our kitchen floor looks brilliant and it is so easy to clean! A real blessing for a busy housewife with 3 kids. 5 star service and products! Our patio changed completely with your Brazilian slate. It had a new lease of life and all our friends made nice comments about it. Thank you for the excellent advise and customer service. Marvelous tiles - helpful and knowledgeable staff. Many thanks, will buy again. Just a few words to thank you for the excellent advise and great tiles. My kitchen floor looks great! My husband and I could not be happier with the attention received from beginning to end. When we received the order we were even more pleased with the excellent packaging and the excellent quality of the slabs. Thank you very much - will buy again! A big thank you for the beautiful slabs and the way they were so carefully packed. Compared to my local Welsh slabs the price we paid was a steal!! Thanks for the brilliant service and great tiles. My wife love the kitchen floor and your advise was really helpful. Will recommend your company to all my friends. Excellent service, high quality product, , my "best packaging award winner" for 2015. A big thank you to the Brazilistone team - your patience and invaluable advise made our kitchen project really easy to bring to completion. From our first phone call right until the tiles were delivered in impeccable packing, our experience with your company was a very easy one. I recommend your products and 5 star service to anyone interested in Brazilian slate. I bought my kitchen slate tiles from Brazilistone and could not be happier. The staff is really knowledgeable and helped with some useful ideas. The price is very competitive and the product is fantastic - my kitchen floor looks brilliant. Excellent slabs and price but above all your customer service is second to none! Great product, excellent service, very good price. Really couldn't ask for more! Will definitely be using this company again. Customers service second to none! Excellent quality for a very reasonable price! Thank you all at Brazilistone! My kitchen looks amazing and will be sending pictures shortly. Forgot to write a review when we bought the Brazilian Black slate tiles for our conservatory 5 years ago but the biggest thumbs up we can give is returning to buy more now that we've moved house and want to do our new kitchen ........... Top quality tiles and nice people to deal with ... see you again soon !! Fantastic product and at a good price. I just had my garden done and the paving looks amazing with this tiles and because they are well calibrate the steps came out really nice and sharp. The customer service was very helpful too so I definitely raccomanded. Excellent quality Brazilian Green Slate at a good price. The tiles were well calibrated which made them easy to lay..
Highy recommend and would definitely purchase from Brazili Stone again. So pleased with quality of the grey/ green Brazilian slate that no hesitation in reordering 2 years later.Extremely helpful sales team, sent various patterns for the meterage ordered, excellent quick delivery,highly recommended. This is the second time we have used BraziliStone. We used it in our old house for the patio and were so impressed we used it again in our new house for all the patios, new hearths and front door cill. Lovely product, looks good and stands the test of time- definitely recommended! I recently ordered my paving slabs from BraziliStone and I am happy to say they arrived on time and in excellent order. I am very impressed with the quality on the stone and the customer service I received was superb. In my opinion BraziliStone is a very professional and knowledgeable company and I would not hesitate to recommend them to others.. Thank you so much. Excellent service, advise and delivery, we brought enough slate tiles to do our conservatory in December 14 and our kitchen just finished. And it's all looks fabulous. We are just so thrilled with it. Just how we had imaged it , but even better. Quality is excellent and advise on grouting was spot on. Thank you so much. Very Very highly Recommended. Just a quick note to thank you for the wonderful tiles. Packaging was superb and delivery prompt. I don't write reviews, unless there is serious cause to. I have written one exceptionally good one & one exceptionally bad one in my lifetime! My third adds to the exceptionally good list! I usually deliberate over choice of materials & suppliers for a very lengthy period, however, my first phone conversation with Gill made my mind up. He was so helpful & friendly. He even looked at my garden plan & spent quite a bit of time working on a design for me, then emailing me with a careful explanation. The tiles have now been delivered, although not yet laid. They are good quality & exactly what I was expecting. The price was very reasonable too. I would have no doubts about strongly recommending Brazilistone to anyone & hope to use them on another project in future. I would also happily pay a higher cost for such good service. I had paid for my slate to be delivered on a Saturday morning but due to a mistake by the transport company it was not. This mistake cost me money paid to a builder who was waiting for the slate to arrive so that he could fit it. After speaking to the transport company, they refused to refund any of the delivery costs, so Brazilistone said that they would refund all of the delivery cost themselves ! Which I thought was superb customer service, and shows that they are prepaired to go the extra mile to keep their customers happy. The slate was delivered the following Saturday morning and was of great quality. The price was very reasonable for such quality, and as Iv said, the customer service was second to none. I will certainly be recommending Brazilistone to all. Builder reported that the slates were delivered quickly, were well calibrated and seemed of a very good and consistent quality. I love the way they look and thought the price was reasonable so that is both of us happy. I would like to thank you for your monk like patience, given the number of times that I contacted you, even my husband said that your level of professionalism and courtesy was really remarkable. Our conservatory floor looks beautiful. Thanks again for your patience and sound advice. I have renovated my kitchen and used slate for the floor. The result is amazing. I am really pleased with it. As a suggestion, the impregnating product makes the difference on the final result. I separately purchased Fila Stoneplus and the floor looked much improved! What a company! The friendly welcome we received was so good. Nothing was too much trouble and although we only required a relatively small amount of slate for the hearth, the owner searched out exactly the two slabs that we wanted. We would recommend them to anyone. Thank you . Thanks for your remarkable customer service. Our patio looks just perfect! Very useful advice, helped bt the fact we were able to visit the site and make informed choice. Thank you for your amazing customer service. I must admit I was surprised for the level of service for a single piece of slate. Not only I was given 2 free bottles of sealants but received comprehensive instructions on how to apply them onto the hearth to make it look perfect. A big thank you and I will talk to you next summer when I will be doing my driveway. I've just tiled the wall behind our woodburner with random width multicolout slate and am delighted with it. Also made the hearth from one of the table tops cut down and it looks fantastic. Great company to deal with, very helpful advice and a fabulous product. Fantastic tiles! Fantastic customer service! Thank you all very much. Just quick note to thank you for your amazing customer service. The floor looks brilliant and as promised, I will send you photos shortly. Thank you so much for all your help and suggestions! i will definitely recommend it to my friends and family! What a first class service!!!! Gilberto thank you for being so charming!! The customer care you provided was second to none. Very pleased with the brazillian slate, looks maverlous. Absolutely delighted both with the quality and price. Gilberto was so helpful in arranging viewing and delivery at short notice. And the delivery driver could not have been more helpful on what was undoubtedly a difficult drop - a red route in London. All in all, an outstanding service. If only all companies were this nice to deal with. A fantastic service from ordering through to delivery,tiles are beautiful and look amazing. Excellent service and swift response to any questions asked, also photos of materials sent to look at. Kitchen and Hall way floor looks amazing, very pleased. Excellent Service, Very helpful staff explained the product and choices perfectly, even to grouting options which l followed your advice and they look fabulous. Delivery excellent .Very satisfied, Highly recommended. Many Thanks. I have not forgotten about the photos. the builders were fired and new ones will start shortly and hope to have it all finished before christmas. Your service was second to none and we are very very pleased with the end result of a beautiful slate floor thoughtout our new build. The product and the service provided were both fantastic. The approach was very professional and customer focused, which meant that the best product was offered to the customer according to there needs. I shall definitely recommend this company to all my associates. 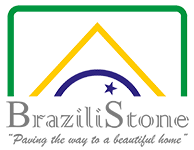 Very helpful and nice to deal with – promp delivery service too. Helpfull from the outset.Frankly a superb and swift service. Fantastic service, excellent product. Would highly recommend!! Very impressed. My tiler wants your details!! Brazilistone has been a pleasure to order from. The product is stunning and I am chuffed to bits that we chose this particular slate. The service we have received has been exemplary; efficient,professional and fast – it is always a bit worrying buying large and important items like this on the interbet but we coulnt be happier with the slate quality. The husband is laying it as I write! (shame our floor isnt level though!!) The only very small issue was that the delivery driver didnt ring Damon an hour before as planned, but called when he was already outside so Damon wasnt there to receive the order. Not a major issue though! thanks so much for being gret to deal with- – feel free to use any of this as testimonial Claire, Damon, and our little cottage in Cornwall! We haven’t laid the tiles yet but they look great. Received the tiles last week and they are down already. We loved your Black Brazilian tiles. These large tiles look very imposing in our conservatory. Our tiler will call you, he said that for this quality product he has plenty of customers. Thanks again for your honest advice and brilliant service. Your Brazilian black paving slabs look fabulous in our patio area. We could not have bought a better product. Thank you so much for your friendly advice. First Class service! Thanks for all the advise received. Now that the tiles have been laid they look stunning and we are very, very pleased with our beautiful Brazilian slate floor. Next project is the kitchen and Mina already decided that we will have nothing else other than Brazilistone’s Brazilian Black slate!! Brilliant Tiles. Premium quality as stated on your web site. Thank you for consolidating all the adhesives, grout and sealers with the order – it saved us so much time and the quality of your Fila sealer is great – highly recomended. Our grey-green mosaics are a hit! Thank you very much. Great service, stunning tiles! We bought the Brazilian black slate and we are extremely pleased with finished floor. Will send pics soon. The customer service I received was second to none. Members of staff very helpful and professional. I highly recommend the products of this company. 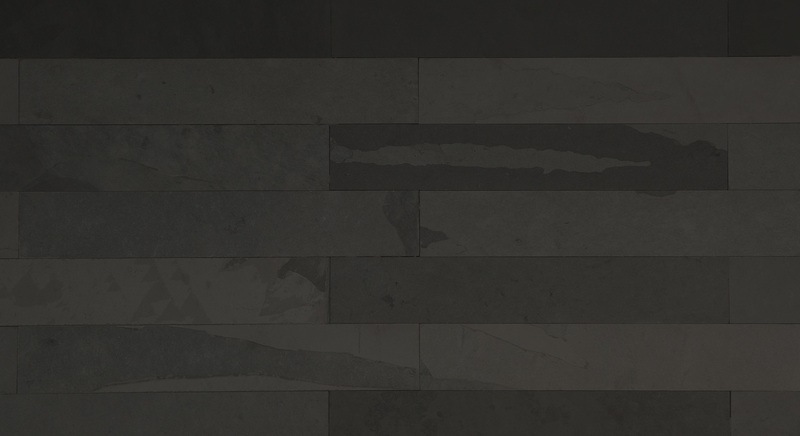 Thank you for the best customer service I have ever had – your product is brilliant, but your personal touch make all the difference when helping someone to decide on the type of slate product to buy. Our patio looks great with your Grey/green Brazilian slate paving slabs. Great price, great product – Great company!